In 2013, the Inner and Outer shrines in Ise were rebuilt at vast expense. On 2 October 2013 Amaterasu, the Sun Goddess, abandoned her old, and somewhat worn, shrine to progress to her new abode, located a matter of metres away on an adjacent site. Her old shrine was duly dismantled. This was the latest event in a remarkable tradition of vicennial rebuilding that extends back to the 7th century AD. In twenty years, when a new building takes shape, Amaterasu will be on the move again. 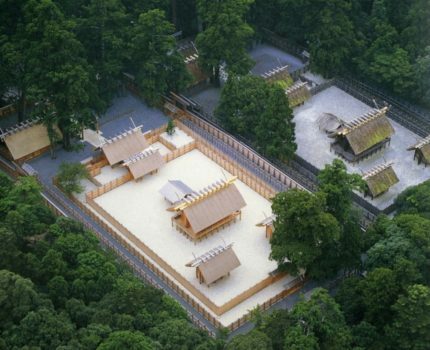 In this lecture, the speaker will explore the ritualized rebuilding of the Ise shrines in postwar Japan as a technique to highlight the shrines’ constant negotiation with the realms of politics, economy and society. Out of this negotiation has come change for the private religious charity that is Ise. The lecturer proposes here that the dominant trajectory of change is best understood in terms of “de-privatisation” or the re-emergence of the Ise shrines into the public realm. John Breen received his BA, MA and PhD from Cambridge University. He was subsequently lecturer, senior lecturer and reader at the School of Oriental and African Studies, University of London. He is presently Professor at the International Research Center for Japanese Studies (Nichibunken) in Kyoto, where he edits the journal Japan Review. He is the author of Shinto monogatari: Ise jingū no kingendaishi (Tales of a Sacred City: the Ise shrines in Modern Japan), Yoshikawa Kōbunkan, 2015 and Girei to kenryoku: tennō no Meiji ishin (Ritual and Power: the Emperor and the Meiji Restoration), Heibonsha, 2011. He is also co-author (with Mark Teeuwen) of A new history of Shinto, Blackwell, 2011. Recent articles in English include “The nation’s shrine: conflict and commemoration at Yasukuni,” in Tsang and Woods ed. The cultural politics of nationalism and nation-building, Routledge, 2014, “Fine words indeed: Yasukuni and the narrative fetishism of war,” Prohl and Nelson eds., Handbook of contemporary Japanese religions, Brill, 2012 and “Voices of rage: six paths to the problem of Yasukuni,” in Roy Starrs ed., Politics and religion in modern Japan: red sun, white lotus, Palgrave Macmillan, 2011. 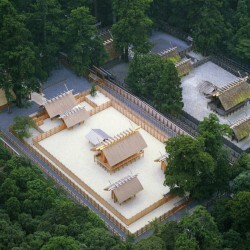 He is presently completing a history of the Ise shrines in English with Mark Teeuwen.